To succeed in the digital retail marketplace, the consumer products industry has to offer product information and a personalized shopping experience to consumers on a global scale. Lingotek’s tech-enabled localization strategies are designed to help the consumer products sector effectively manage the speed and complexity of global content delivery for consumers who want to search, shop, and purchase in their own language. The Lingotek Translation Network includes Professional Language Services, a cloud-based translation management system (TMS) and Lingotek - Inside Connectors for out-of-the-box integration with all of the most popular enterprise platforms. Because we create multilingual content inside your existing system, we eliminate several manual steps in the process, to streamline and automate dynamic global content delivery. Cloud-based translation management ensures continuous delivery, real-time status updates and collaboration. Convenient management of your linguistic assets--glossaries, style guides, and translation. memories--for cost-efficient and accurate reuse of your unique terminology. Professional linguists who are subject matter experts ensure localized content is accurate and appropriate. 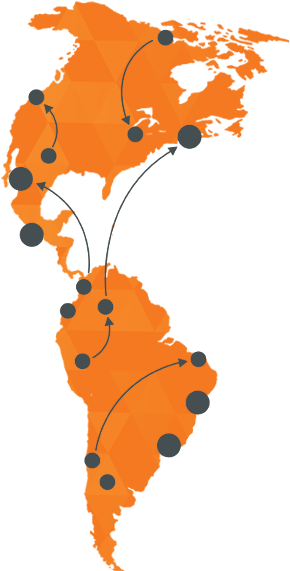 Internationalization, localization, and transcreation to help you quickly enter new markets. Terminology management to ensure consistent brand messaging that transcends countries and cultures. Improve communication and customer experience with real-time personalized translation tailored to language, region, and culture. Content and information that is always up-to-date, whether you have one multilingual website or 20. Puts all of your linguistic resources at your fingertips to ensure the cost-efficient reuse of translated terminology consistently and accurately. Centralized governance and control with SSO, client portal, and authorized user settings. Read the case studies about our successful solutions for our consumer goods customers.